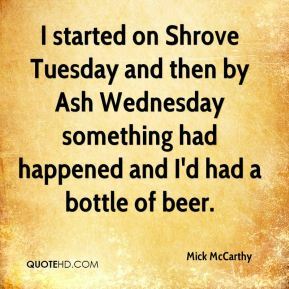 I started on Shrove Tuesday and then by Ash Wednesday something had happened and I'd had a bottle of beer. 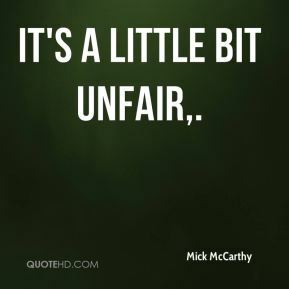 It's a little bit unfair. 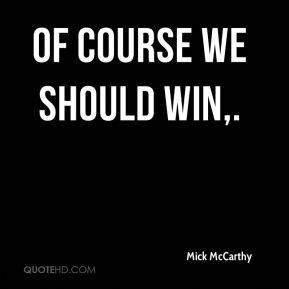 Of course we should win. 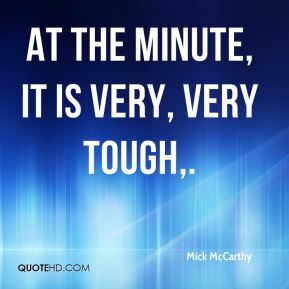 At the minute, it is very, very tough. 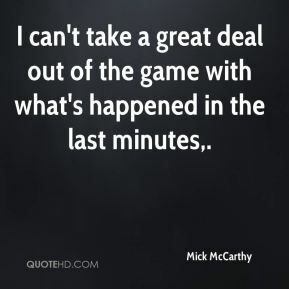 I can't take a great deal out of the game with what's happened in the last minutes. 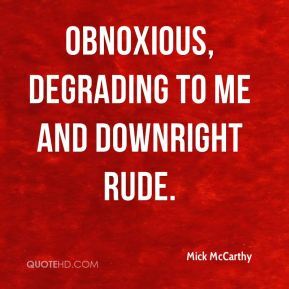 obnoxious, degrading to me and downright rude. I'm pissed off. 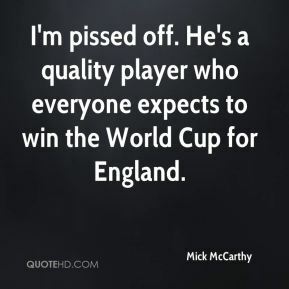 He's a quality player who everyone expects to win the World Cup for England. 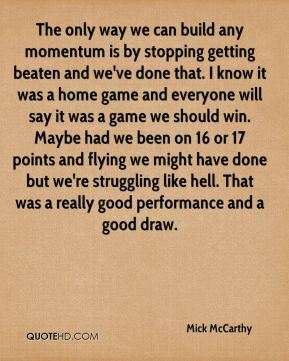 The only way we can build any momentum is by stopping getting beaten and we've done that. I know it was a home game and everyone will say it was a game we should win. Maybe had we been on 16 or 17 points and flying we might have done but we're struggling like hell. That was a really good performance and a good draw. 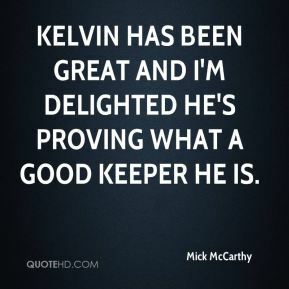 Kelvin has been great and I'm delighted he's proving what a good keeper he is. Groundhog Day. 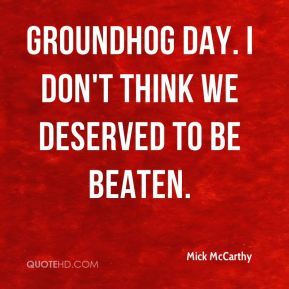 I don't think we deserved to be beaten. He has some useful Premiership and Champions League experience and his versatility provides me with cover. It is really nice not to lose and to get a lucky break. We were feeling relaxed. 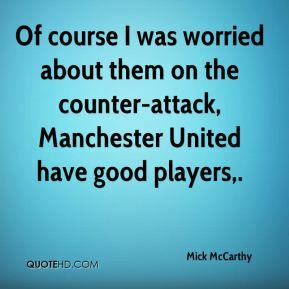 That is one of the positive things about our position. 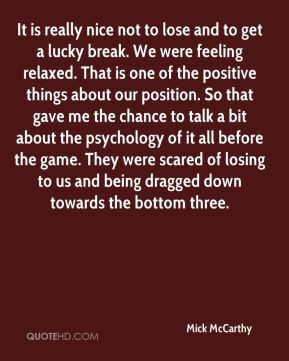 So that gave me the chance to talk a bit about the psychology of it all before the game. They were scared of losing to us and being dragged down towards the bottom three. He came over and we had a chat to him and his representatives. He's a very good Swiss midfield player who can do a number of jobs in the midfield. 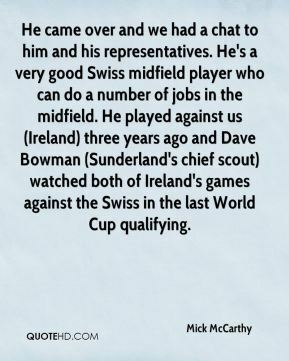 He played against us (Ireland) three years ago and Dave Bowman (Sunderland's chief scout) watched both of Ireland's games against the Swiss in the last World Cup qualifying. 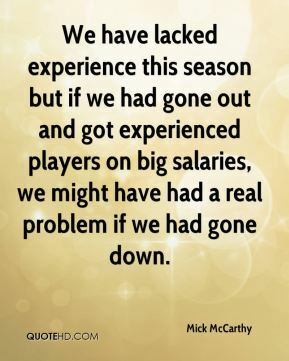 We have lacked experience this season but if we had gone out and got experienced players on big salaries, we might have had a real problem if we had gone down. I leave with a smile. 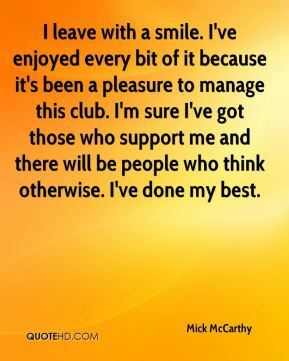 I've enjoyed every bit of it because it's been a pleasure to manage this club. I'm sure I've got those who support me and there will be people who think otherwise. I've done my best. It's been tough here these last few months, but it's been brilliant. I've enjoyed every single minute of it. It's been a pleasure. I've been very fortunate. As always, I've done my best. 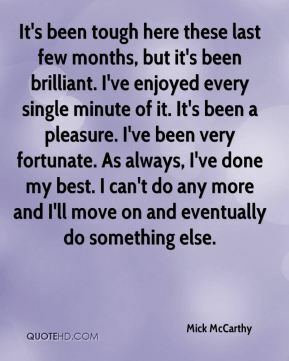 I can't do any more and I'll move on and eventually do something else. My only target for the rest of the season is to get as many points as we can. 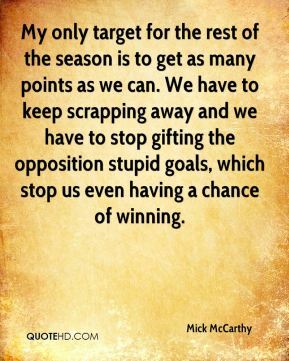 We have to keep scrapping away and we have to stop gifting the opposition stupid goals, which stop us even having a chance of winning. 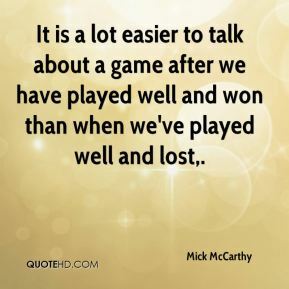 It is a lot easier to talk about a game after we have played well and won than when we've played well and lost. 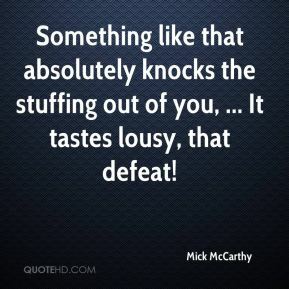 Something like that absolutely knocks the stuffing out of you, ... It tastes lousy, that defeat!